“Reuters has been investing in Quality Assurance for years both at a Process & Method level and at a testing level. In order to satisfy our customers demand, our testing approach is increasingly based on the principle of automating the tests for a better management and measurement of test coverage. Reuters choice for software testing solutions is usually oriented towards the big players of the market, whose products cannot always satisfy specific needs. Squish has proven to be an excellent tool that can easily interoperate with testing software from major vendors. It can test our cross-platform Qt based Kondor+ 3.0. 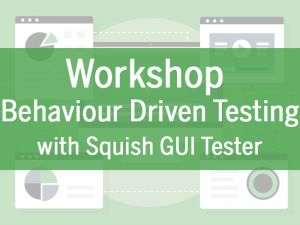 At the same time we also wanted to leverage our effort by using Squish to automate testing our prior versions of Kondor+, which have been implemented using the XView toolkit. So we talked to froglogic with the result that they added support for the XView toolkit to Squish. A data-driven approach of the testing enabled us to adapt very easily our existing scripts to Kondor+ 2.6 and 2.5. We are now working on the next step: integrating Squish into our existing test framework”, said Thierry Duchamp, QA Manager for Risk of Reuters Financial Software. “It was a pleasure to cooperate with Reuters Financial Software and their competent engineers to jointly realize XView support in Squish. We are also very satisfied to have proven this way that Squish’s modular design allows for easy extensions such as support for new GUI toolkits. We will keep adding support for new toolkits this way as demand arises”, said Reginald Stadlbauer, CTO of froglogic.